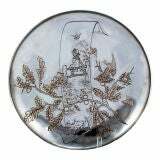 Very Large Round Sterling Silver Serving Tray by Tiffany & Co. THIS IS A WORK OF ART! 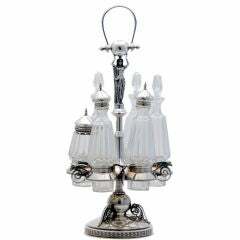 IT IS ONE OF THE MOST ASTOUNDING, BEAUTIFUL OBJECTS SELLER HAS EVER SEEN! The artistry is astounding.... the engraving is crisp..... it's like a painting. This could be used as a side table... could be placed on a large ottoman.... placed on a side board.... and of course as a tea tray.... so many uses! Or it could hang on a wall. 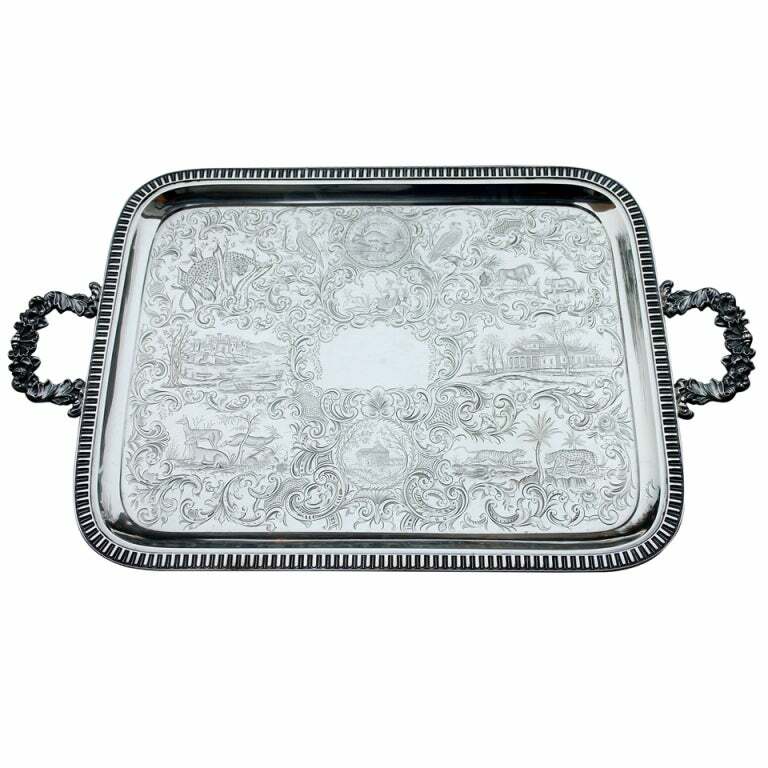 Being offered is a circa 1851 coin silver serving tray by William Gale of New York, a massive exemplary piece with masterfully engraved surface enclosing vignettes of Mount Vernon, Monticello, West Point?, a castle, palm trees, an American Indian, surrounded by animals including a beaver, a falcon, parrot, lion, lynx, tiger, leopard, stag, eagle?, bobcat, etc and bearing large Rococo flower and foliate handles. The unique iconography and quality suggest some sort of special production not a special commission, where one would expect a more cohesive iconography and certainly some sign of ownership in the center. The thought is that this was therefore either a “shop sample,” kept to show the skill and repertoire of the engravers at Gale’s command, or a piece produced for exhibition, whether in Gale’s own shop window or in a more formal “mechanical” exhibition, perhaps the New York Crystal Palace Exhibition of 1853. Dimensions a massive 37 1/2 inches over handles by 23 inches wide. Weight 232 troy ounces. Never monogrammed. In excellent condition. The tray could be hung as a painting on a wall or a wooden, gate leg apparatus could make this a coffee table. This tray could be placed on a wooden, gate leg stand and act as a coffee table or end table. 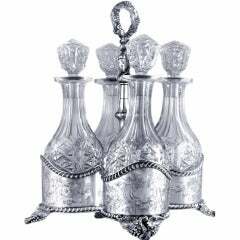 William Gale Sr. and his son were amongst the leaders of silver manufacture in the mid-nineteenth century. 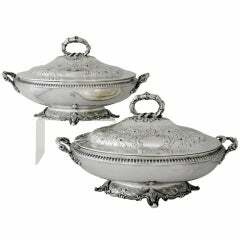 They supplied the leading retailers inclcuding Marquand & Co. and Tiffany. This tray speaks many stories, one being the lack of a central monogram (there has been no monogram removal). The tray no doubt was a special project and probably placed in the shop window to show the engraving capability to passersby and the world of the Gale firm. Again, it is an important and rare piece.